An anthology of short stories by 18 authors from across the globe – the UK, the USA, Canada, and Europe – The tales they tell are both non fiction and fiction. Many are based on real life experiences. Others are based on vision and a wondrous source of imagination that these very special authors bring to their readers. Some of the stories they tell will make you cry, others will make you laugh. But some of their writing will actually terrify you when you realise that some of the accounts they recall are actually true stories from real events in their lives. Indeed, there’s something for everyone here: tales of love and war, of honour and disobedience, of hate and humour, of desire and desperation. They have produced a roller coaster of emotion on their journey to complete this anthology. It’s a book to savour and enjoy, page by page. Above all, this anthology contains the true story of a young boy who suffers from Chiari Malformation – a condition for which there is currently no known cure. The work itemises the condition and the problems associated with this horrible human condition. Written by the self-styled Chiari Warriors, the book seeks to raise funds for health practitioners and research analysts. Accordingly, proceeds from the sale of this work will be donated to the Birmingham Children’s Hospital Research Unit (a registered charity in the UK) in order to fund dedicated research into this life-threatening condition. 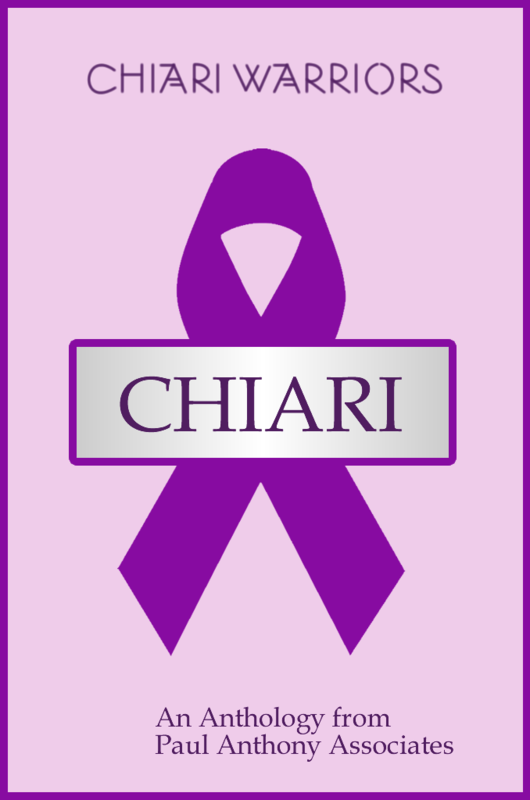 The results of this research are shared across the globe between UK institutions, the Chiari Institute in New York, and elsewhere.